21st c. Data, 21st c. Publications. The Gabii Goes Digital Project ran from 2013-2015. 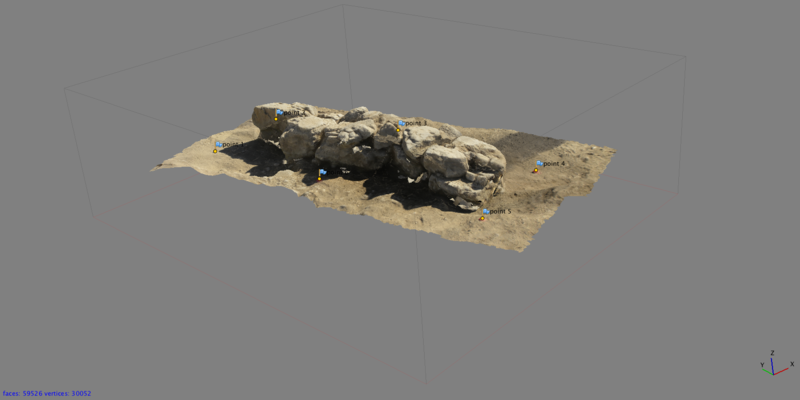 The project aimed to bring the 3D modeling work that was integral to our excavation method to our publications. The project benefitted from close collaboration with the University of Michigan Press, and from constructive discussion with many members of the archaeological community. The first monograph produced by the Gabii Project grew out of the efforts of Gabii Goes Digital. It can be found here. We're looking for archaeologists interested in helping us develop a model for peer review of complex digital content. Participate in webinars, surveys, virtual workshops and meetings at conferences. We take our digital record seriously. It affects how we excavate, interpret, and tell stories. We're always looking for ways to improve our documentation to better understand and communicate the (usually really quite puzzling!) archaeology at Gabii. At the Gabii Project, we're interested in the development and structure of Archaic urbanism in central Italy. How cities were organized and built. How the tensions between private land ownership and collective projects of urban planning were resolved. How the 'rules' of making a city developed. We began the excavations at Gabii hoping the evidence uncovered would provide key insights into these processes. In order to ask and answer big questions about the development of Urbanism, the Gabii Project needed to undertake large scale excavations. 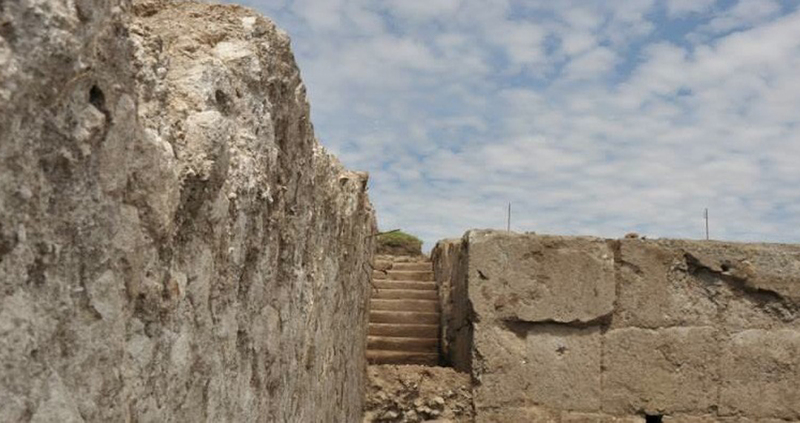 Our aim is to uncover evidence in a variety of urban contexts, to understand the diversity of activities and structures that made up life in Ancient Gabii. Big excavations require efficient, accurate and detailed recording, good data management, and a tool set to help researchers explore the documentation. The Gabii Goes Digital Project grew out of the team's ongoing efforts not only to meet these needs, but to meet them in new and (geekily) exciting ways. We've excavated thousands of contexts from over a hectare of the city. All the photos, image-based models, samples, descriptions, interpretations and reinterpretations make for big and messy data. A good visualization of a big, messy dataset can make important trends or gaps in the evidence immediately apparent. All of this information needs to be distilled down into a synthetic narrative of what we think happened at Gabii. As we distill our data and construct narratives for publication, we want to embed the rich digital data and model-based visualizations which helped us to arrive at the narrative. The Gabii Project is a major archaeological excavation located 18 km east of Rome in central Italy, conducted under the aegis of the University of Michigan. Since the start of the excavations in 2009, over 500 GB of digital data have been collected during five summer fieldwork campaigns in the form of photographs, scanned plans, surveyed measurements, written descriptions, sketches and 3D models capturing stratigraphic layers and features such as walls, pavements and burials. Having collected and created this rich digital dataset, we face the challenge of developing effective and innovative ways of publishing and sharing it. 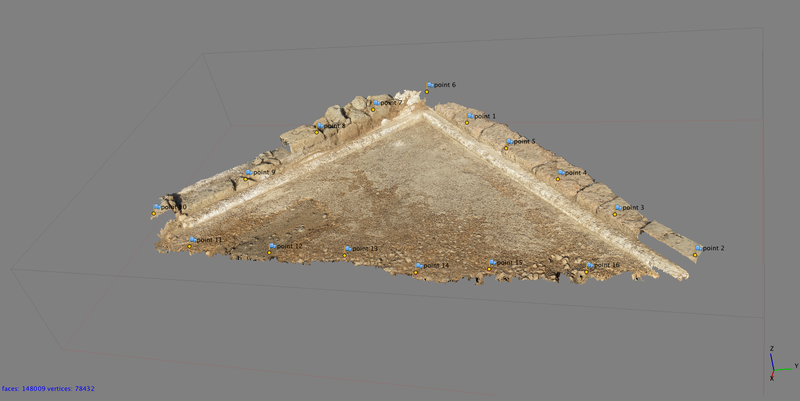 For the past five years we've used 3D modeling derived from photos as a key part of the recording strategy for the excavations at Gabii. We've built over 600 photorealistic, georeferenced models, accounting for about 25% of the total recorded units at the site. These models provide a much more intuitive experience of the stratigraphic record, for researchers working on the project, for academics studying it, and for the general public. While we, and a number of other projects, have grown increasingly adept at collecting modeling-ready images and producing these models, strategies for sharing them with those without specialist software, integrating them into a project's publication strategy, wrapping them up into data visualizations, and including them in responsible archiving practices have not yet emerged. In this project we will work to make these models a core part of our publication record and promote their acceptance as basic data within the archaeological community. We believe developing a publication process which will allow the 3D modeling content to be subject to the same level of scrutiny as text, and bringing the intellectual rigor required for peer reviewed publication of the analysis and narrative to the models is essential for presenting research in which analysis, visualization, modeling and narrative are closely intertwined, a situation typical of 21st c. archaeological data. We feel bringing external review to the models moves them from effectively being treated as non-essential appendices or add-ons to the publication to being treated as a core part of the publication and as information in their own right. Moving these visualizations and models from the 'appendices' box to the 'core' box stands to change fundamentally the way archaeologists communicate their research, and can provide a paradigm for projects in any field using 3D modeling and visualizations as research and dissemination tools. The peer review process is designed to help authors strengthen their argument and clarify its presentation. As researchers and academics, we're trained to recognize good and bad writing, and to identify holes and weaknesses in a argument. We learn what makes a useful chart or illustration. There are conventions for the scaling of axes, selection of symbols, and amount of information presented. As reviewers we provide feedback on both the substance and style of a publication, commenting on the text and illustrations and how they work together. But what does good, useful interactive 3D content look like? What are the qualities on which this content should be assessed? In the Gabii Goes Digital Project we will be developing a pilot publication which integrates 3D modeling content, data, and narrative text. Collaborating with members of academic presses and members of the academic community at large, our aims are to define a framework for the review of publications integrating rich digital data and 3D modeling content, and to build a community of peer reviewers working from a common frame of reference to review and critique both the archaeological arguments being presented and the medium through which they are being communicated. The Gabii Goes Digital Project is led by Rachel Opitz, Nicola Terrenato, and Fred Limp. We're informally consulting with the staff at the University of Michigan Press to address challenges in review, dissemination and preservation. Our advisory board includes researchers from universities, colleges, academic presses and cultural heritage management institutions, representing the diverse perspectives of people working in different institutional and regional settings. The 21st c. Data, 21st c. Publications. 3D Model Publication and Building the Peer Reviewer Community Project is supported by a generous grant from the National Endowment for the Humanities Office of Digital Humanities. Rachel Opitz, Nicola Terrenato and Fred Limp are the Directors. The Gabii Project is supported by generous grants from from the University of Michigan, the Kelsey Museum of Archaeology, the National Endowment for the Humanities, FIAT-Chrysler, the National Geographic Society, the Loeb Classical Library Foundation, and several private donors. Nicola Terrenato directs the Gabii Project. Anna Gallone is the Field Director. Marcello Mogetta is the Managing Director. The assistance and support of the Soprintendenza Speciale per i Beni Archeologici di Roma, and especially that of Dr. Stefano Musco, are gratefully acknowledged. Copyright © 2013. Gabii Goes Digital & The Gabii Project. This site has now been archived and is no longer being actively maintained.